Out of 26 tribes, Adi is the second most populous in Arunachal Pradesh and traces its lineage to the Tibeto-Mongoloid group. Shifting cultivation or swidden, also known as Jhum, is an age-old method of agriculture practised by the Adis. However, over the last 60 years, some Adis have adopted relatively modern practices of settled cultivation. In a recently published study in Ambio, researchers from Nature Conservation Foundation (NCF), Mysore, have tried to understand the factors that determine whether farming communities can make the switch from swidden to settled cultivation. They have also tried to understand whether these factors encourage or limit an individual to choose between swidden or settled agriculture. Karthik Teegalapalli, Research Scholar at NCF and the lead author of the study said, “We mostly read about shifting cultivation being destructive—it is often shown in poor light. We wanted to study both practices objectively”. 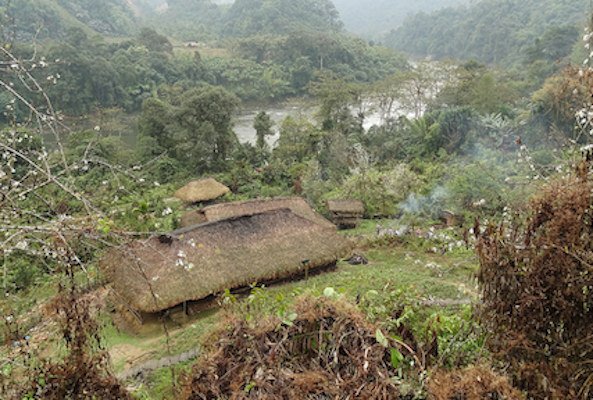 In their study, the authors have systematically investigated the changes that occur in an area with low population densities and large tracts of forests from practising shifting cultivation. The researchers observed some advantages of shifting agriculture—land being left fallow recovers lost nutrients, the practice supports agro-biodiversity, and the yield is higher compared to single crop production. Swidden also intricately binds the forest communities to their cultural identity—thirteen festivals were marked around the agricultural calendar. However, it is also a labor intensive practice, and considered less efficient since huge tracts of land are left uncultivated. Ecologists also attribute the loss of biodiversity and the harm done to the ecological functions of forests to the practice. Ignoring this debate, the government has been promoting settled agriculture by offering better irrigation schemes, training programs, fertilizer subsidies and better connections to markets. Settled cultivation has also increased with easy availability of capital and migration of labor from other states. At the same time communities also rely on schemes and contracts offered by the government as alternate sources of income. Communities close to towns also sell produce from settled agriculture like ginger, fruits, rice and handicrafts. However only families of a higher economic status are able to reasonably afford large tracts of land required for settled cultivation. The authors studied the socio-economic and cultural reasons for the choice of agriculture by conducting surveys and interviews with 47 households from five villages in the Upper Siang district of Arunachal Pradesh. Specific information regarding the changes in agricultural practices in the last 10 years, use of chemical weedicides, and alternate employment opportunities was collected from people belonging to varied economic backgrounds. The number of members from a household participating in agriculture was considered to be the labor available. High economic status meant government employment for the household, intermediate meant members with government contracts or daily wage laborers and low meant total dependence on agriculture. According to Karthik, the study found that the communities are dynamic and make best use of both the methods of production. 85% of the respondents were found to be practicing both swidden and settled agriculture. Shifting cultivation was carried out for a longer time of the year than settled cultivation. Crop diversity was high in shifting cultivation, whereas settled cultivation was dominated by growing of rice. Communities were unable to make a complete shift to settled agriculture as it requires high investment and maintenance while being an individual enterprise. In conclusion, the study makes a case for policy makers to take into consideration different aspects of the types of agricultural practices in the area before promoting a particular kind of agriculture. Both swidden and settled agriculture have their own efficiencies and impacts, and the authors advise caution in pushing communities to choose one over other. They also suggest although it is inevitable that communities are driven towards more profitable means of livelihood keeping in mind their changing aspirations and easy access to open markets, policies should accommodate traditional practices, taking into consideration not only the landscape geography but also social, cultural and ecological factors that bind the communities together.